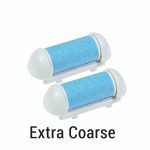 • Contains a pack of 2 extra rollers one pack fits all your needs. They are compatible with the Foot Love HS-501B Rechargeable Callus Remover. 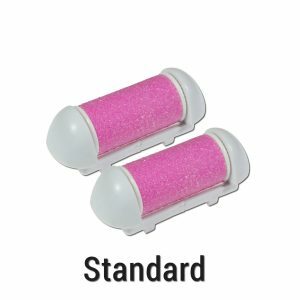 • Replacing your rollers on a regular basis will ensure that your callus remover works effectively as possible for best results. • If other members of your family wish to use the callus remover having a roller for each person is highly recommended. Marking them with different color nail varnish keeps everyone happy. – Click the “Add to Cart” Button at the Top of This Page to Get Beautiful Baby Soft Feet NOW!